Recorded at Olympic Studios, London, between November 1978 and January 1979. Mixed in February 1979 at Olympic A1 and A3. 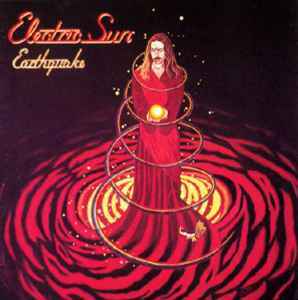 Fantastic debut effort featuring the amazing German electric guitar master Uli Jon Roth. Replacing Michael Schenker in the Scorpions and first appearing on their second LP 'Fly To The Rainbow' in 1974, Uli went on to record four more studio releases and one live LP before departing and embarking on a solo career with his new 3-piece hard rock band Electric Sun. Fans of Uli's work with the Scorpions (mid 70's), Jimi Hendrix, and Mahogany Rush will surely drool over this stuff. Some might be a tad put-off by Uli's vocal style though...a definite desired taste. If you can get past this, you're bound to have fun! This guitar shredder of an album was a definite influence on a whole horde of players to come during the 80's, including Yngwie Malmsteen.